Break free from the tyranny of "I can’t"
The biggest impediment to living your dreams is the view that whatever you want to do hasn’t been done before and/or that you can’t do it. This is what I call ‘starting trouble’. In the good old days here in India, we used to have Ambassador cars (we still have some of them on the roads). My family too had one. It was already a pretty old car by the time we bought it. And every once in a while, its ignition switch would fail and so we used to bring out a metal ‘handle’ from the boot and literally, physically crank the engine up. Or, if there was help available, we would push the vehicle in neutral gear for a while in a bid to start the engine with a jerk as the gears were switched! Almost all of us are like that old Ambassador car. We have trouble getting started on our journeys. We are willing to die, unknown to us, a million times in the few years that we are alive, doing things we don’t like or love doing, than live the time we have on this planet fully! To livewe need to awaken to the possibility that we too can achieve anything, absolutely anything, that we want. So, to get started this morning on what can be a turning point in your Life, just consider what Mahatma Gandhi did. His greatest struggle was not about overthrowing the British. It was about ‘How do you make an enslaved race think and feel equal to others when all around there is compelling evidence of the enslaving race’s ‘superiority’?’ Porus Munshi, an innovator, thinker and author, says Gandhi found a way, by showing people the power of satyagraha and ahimsa. When people realized that they too could contribute to the freedom movement, they felt equal! There’s a parallel here for us to delve into. We are all enslaved by our beliefs, our insecurities, our self-doubts. We must change the orbit of our thinking. The ‘handle’ we must use to crank up our engines is to awaken to the reality that we are all created equal. If you love painting, know that you too can become successful like M F Hussain, if you love writing fiction, you too can be insanely great like J K Rowling, if you love planes and flying, you too can own an airline like Air Asia’s Tony Fernandez, if you want to change the world and serve, you too can become the next Gandhi or Mother Teresa. The key operative word here is love. And that love must be present and continuous – as in a verb! You must love whatever you do and your love for it must make you want to do it again, and again, and again – no matter what the impediments are. So, awaken. 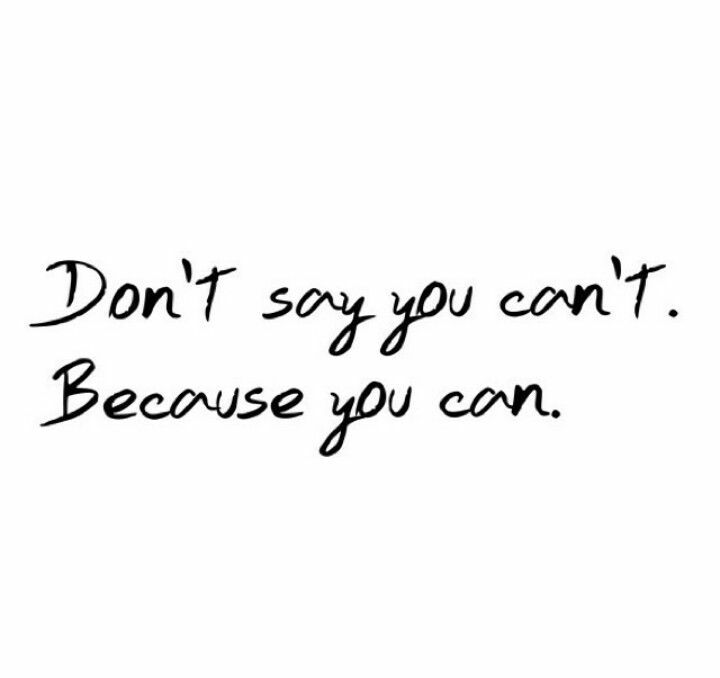 Break free from the tyranny of “I can’t”. Know that nothing can come in between you and your dream, unless you allow it to! Take flight, if you love something, go live it! Author AVIS ViswanathanPosted on July 8, 2015 March 14, 2016 Categories Air Asia, Ambassador, Gandhi, http://schemas.google.com/blogger/2008/kind#post, Inner Peace, Intelligent Living, J K Rowling, Live your Dream, M F Hussain, Mother Teresa, Porus Munshi, Tony FernandezLeave a comment on Break free from the tyranny of "I can’t"